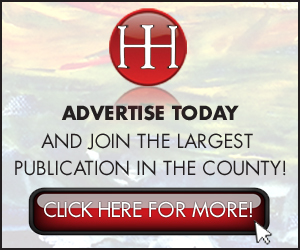 Each Fall, Sonipak Design releases a Harford County calendar to highlight the beauty, scenery and history that surrounds us. In 2016, Red Planks of Harford County featured our county’s historic barns. For 2017, Tides, Trails & Treasures focused on our scenic state parks, the 2018 calendar, Divine History of Harford County features some of our county’s most historic places of worship, and 2019’s calendar will feature our native wild animals in Wild Things of Harford County! 20,000 FREE copies will be distributed around our great county and beyond. This upcoming calendar will feature the photographic artwork of Frank Marsden. His talented eye has captured amazing creatures in their native habitat. Proceeds from this community calendar will benefit Eden Mill Nature Committee, Inc. Founded in 1991, this non-profit volunteer-run organization creates and supports educational and environmental programs and partnerships for our surrounding communities. They inspire people to care about the environment by providing experiences that lead them to understand their connection to the natural world. Local businesses are invited to take advantage of this one-of-a-kind opportunity. Some of the current businesses to sign on for this wild adventure are: Town of Bel Air Economic Development, James C. Wilson Excavating, Tracey Properties of Keller Williams American Premier Realty, Bel Air Dance Academy, BCV Commercial Realty, Jarvis Appliance, The Mill, Bearsch’s United Auto Center, Thompson’s Moving, Harford Transit LINK, Harford County Public Library, Harford County Chamber of Commerce, Harford Artists’ Gallery, and many more. They have some fantastic sponsors too! 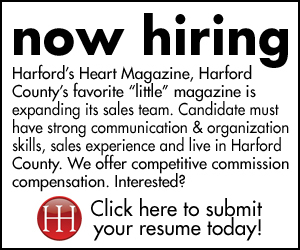 WXCY, Harford’s Heart Magazine, Harford County Living and The Dagger continue to show support as media sponsors and MaGerk’s Pub & Grill joins them again as the Calendar Release Party Sponsor hosting this much anticipated event. Mark your calendars and be sure to save-the-date on November 13 from 6-9pm and bring your family for dinner! The release party is open to the public. Be the first to receive your FREE copy of the Wild Things of Harford County 2019 Calendar. 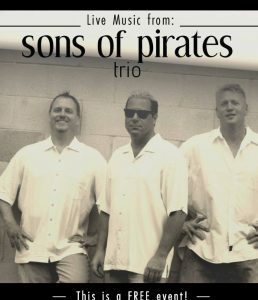 Enjoy featured signature drinks, live music from Sons of Pirates, bid on calendar canvases in the silent auction and be one of the first 100 guests to receive a free Swag Bag, sponsored by WXCY, filled with coupons and fun gifts. 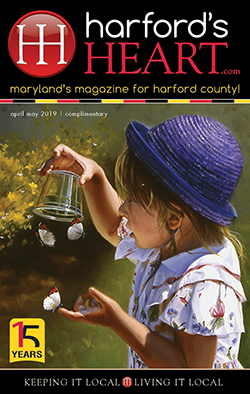 Connect with Wild Things of Harford County on Facebook and follow Sonipak Design & Marketing to learn more about the many services and publications they produce.